VISION2021 LA seeks answers to the following questions from each of Los Angeles’ 2013 mayoral and city council candidates. *Do you share the VISION2021 LA goals for our City? 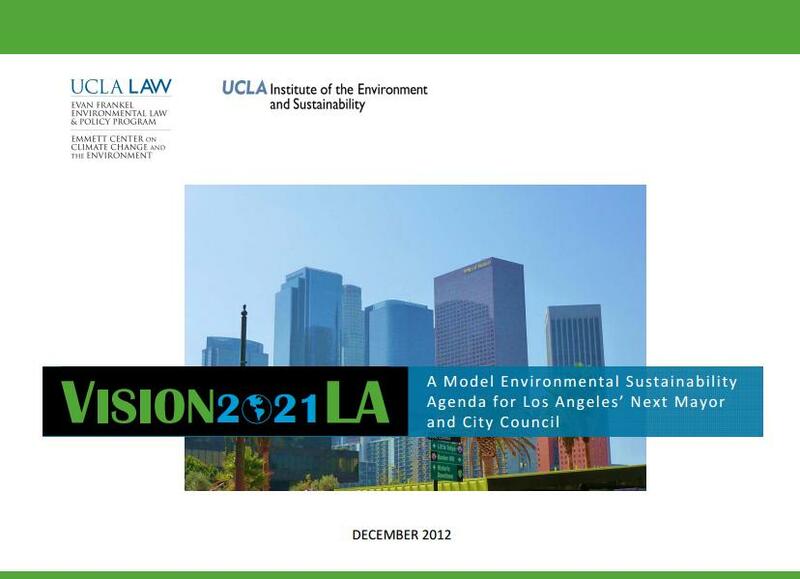 *Will you incorporate the VISION2021 LA targets into your platform? *Will you pledge, if elected, to adopt by 2014 a sustainability plan for the City of Los Angeles that includes goals, targets, measurable indicators, implementation measures, and an implementation timeline, and requires annual reports? *Will you pledge, if elected, to assign implementation of the sustainability initiative to an office reporting to the Mayor that has access to resources to direct and implement policy initiatives that promote sustainability? *Will you pledge, if elected, to build the City’s capacity for data collection, analysis, and monitoring of sustainability issues? Note: It’s not clear to yours truly that a UCLA report – it is on the “newsroom” website of the university – should be requesting political candidates to pledge in advance of being elected to undertake particular actions such as creating a new city office. The Grover Norquist no-tax pledge at the state and federal levels is increasingly being criticized. Generally, official endorsements of political positions – such as the Regents’ recent endorsement of Prop 30 – have focused on matters of very direct concern to the university (such as UC funding and trigger cuts related to Prop 30). Did anyone think through the pledge issue?